THE Frankston Dolphins Football Club is out of administration and has its sights set on a quick return to the VFL. Dolphins vice president John Georgiou says control of the football club had reverted back to the board from the club’s administrator on Friday 18 September. The club went into voluntary administration in August after sinking under about $1.5 million worth of debt. “The next phase in our renewal is to ensure that we establish a sound financial, football, community, commercial and high performance culture platform on which to base a sustainably successful VFL club,” Mr Georgiou said in a statement. The VFL suspended the club’s licence to compete as a VFL team for the 2017 season after the Dolphins went into administration. 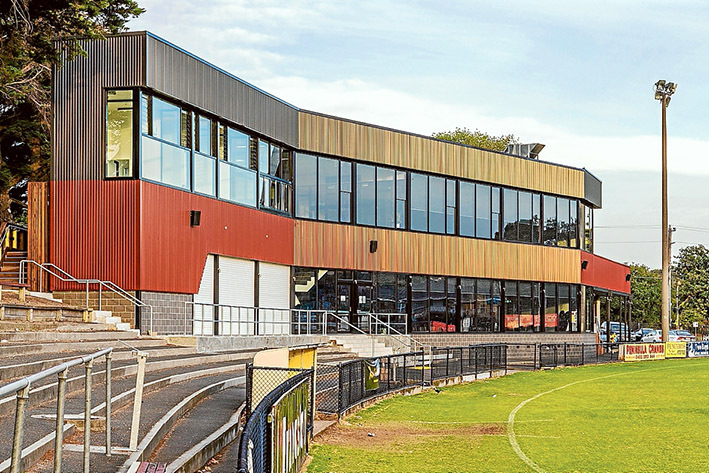 Worrells Solvency and Forensic Accountants, administrators of the club, cut a deal in October with unsecured creditors to save the 129-year-old club. Creditors included Tabcorp Gaming Solutions ($230,000) and the Victorian Commission for Gambling and Liquor Regulation ($475,000) who will now be repaid between 4.5 and 7.9 cents in the dollar over four years starting in September next year. The two debts related to the club’s 27 pokies machines the Dolphins removed from the club’s function centre in May. Frankston Labor MP Paul Edbrooke announced last month that the state government would not seek any repayment of the reduced VCGLR debt. That announcement means the Dolphins will not have to repay between $21,375 and $37,525 based on the deal agreed with creditors. Mr Georgiou thanked Mr Edbrooke, Dunkley Liberal MP Chris Crewther and all the club’s supporters who helped the Dolphins through its administration. “In the weeks leading up to Christmas there are several events we would like everyone to be aware of, as many people are looking for ways they can show their support for the club,” Mr Georgiou said. The club’s bar is open every Friday, 5-8.30pm and a fundraising Big Kick community event will be held at the Frankston Dolphins’ oval on Sunday 4 December, 10am. See frankstonfc.com.au or call 0466 673 524 for details of functions including a business lunch featuring former Hawthorn Football Club chairman and AFL life member, Ian Dicker on Friday 9 December.